Much speculation on whether apple maturity is early or not. Certainly some drop on earlier harvested varieties (aka Paulared) has been noted. And certainly trees have been under stress with lackof water -- a situation that (hopefully) is slowly changing. In fact, we have had 3.6 inches of rain here in Belchertown over the last 30 days. (Half of it in the last week.) So there is hope. I am done trying to predict early drop and/or maturity, I let the facts speak for themselves. I don't think we will get a good handle on it until the start of McIntosh harvest. If your orchard, however, has been seriously short of rain in the last month, expect trouble and be on your toes. See the comments about ReTain application from Dr. Duane Greene below. Here are some results of maturity testing on a few early apples I did on Monday. I have put in parentheses the comparable data from 18-Aug, 2015 for Paulared, Sansa, and Zestar!. A note on the DA readings, made with the DA meter -- higher numbers mean a greener apple, lower numbers mean a more mature/ripe/yellow background color apple. Pretty much of little value on McIntosh-type apples, but works very good on apples that change background color from green to yellow as they mature, such as Gala, Honeycrisp, and Golden Delicious. Apple maggot fly (AMF) continues to be caught in various numbers (including high counts) in our trapping network. Insecticide coverage should probably be maintained until September 1. Do you use the AMF monitoring & respray dates (for example in Belchertown) in AgRadar? Or the NEWA Apple Insect Model for AMF? Needless to say, some fungicide coverage for summer diseases -- sooty blotch/flyspeck/rots -- needs to be maintained up until a couple weeks before anticipated harvest. Pristine is the gold standard fungicide for this time of year, however, other options include: Captan, Ziram, Topsin-M, Flint, Sovran, phosphites (+ Captan), among others. There are great IPM tools for managing sooty blotch/flyspeck sprays (i.e., risk level, when to spray, etc.) on NEWA and AgRadar, use them! The weather is the determining factor providing guidance for the use of ReTain this harvest season. In most areas in Massachusetts we are experiencing very dry and hot weather. This combination of factors enhances the potential for early and enhanced fruit drop. In my estimation this is not a year to economize on the use of ReTain. All indications are that the season is early. I normally suggest application of ReTain 3 weeks before the anticipated mean harvest day. This year I am suggesting that the application perhaps should go on earlier. That time of application is approaching rapidly if it is not here. I am suggesting that a full rate of ReTain be used on McIntosh. Reduced rates of ReTain are generally used on Macoun and Honeycrisp. Used good judgement and the experience gained in your orchard in selecting the rates to be applied on these cultivars. Early application of a full rate of ReTain will initially delay red color development. 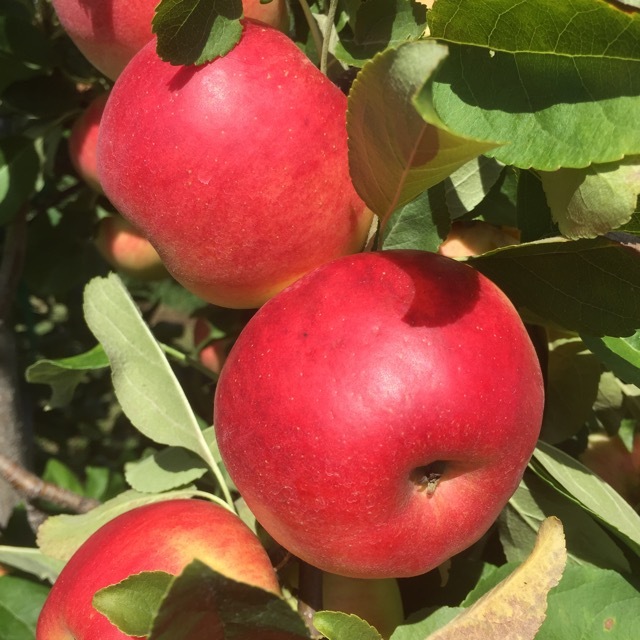 Although harvest may be delayed a little, it is far more preferable and profitable to have an apple with reduce color on the tree rather than a redder fruit on the ground. 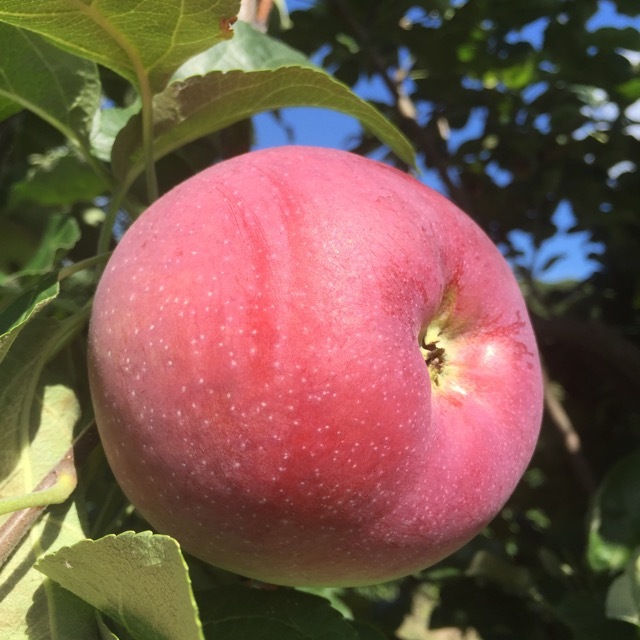 If early application does go on a follow up application will probably be needed especially if the fruit are to remain on the tree until the later part of September. The amount of ReTain used in the second application will be determined by individual harvest plans. Although Cortland is not a cultivar that has a drop problem it does respond extremely well to ReTain application. 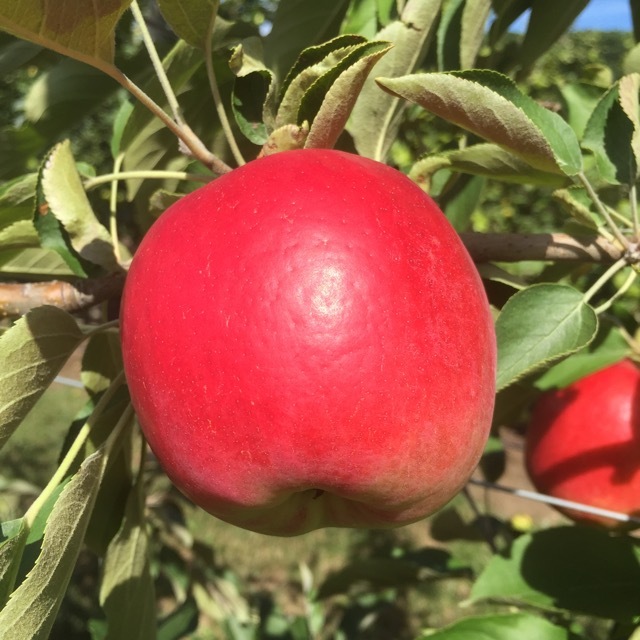 Observations made over the past several years showed that ReTain can delay ripening allowing maturation to occur during the cooler weather in October. There can be some reduction in red color development early but this is more than compensated for by improved coloring weather experienced later. The advantage of using high rates ReTain is that fruit quality is substantially increased while still maintaining condition. I am suggesting 1 pouch of ReTain applied 4 weeks before anticipated harvest and a second 1 pouch application 2 to 2.5 weeks later. Treated fruit should be harvested a little later. At harvest the taste of treated Cortland is outstanding. Red color is not a problem if allowed to remain on the tree for a short time longer. If fruit are harvested, and treated with SmartFresh they will store a longer time and retain excellent conditions and flavor. Last year ReTain treated Cortland receiving SmartFresh had 2 pounds greater flesh firmness than fruit just receiving SmartFresh when evaluated out of storage. ReTain has a 7 day pre-harvest interval (PHI) for Apple and Pear. Please fill out this short form on your ReTain use in 2016 (use scroll bar for complete form and to submit). Your answers are confidential and anonymous. Thanks. The next official Healthy Fruit (maturity report) will be published on Tuesday, August 23, 2016. As always feel free to get in touch with any member of the UMass Fruit Team (http://extension.umass.edu/fruitadvisor/team-members) if you have questions or comments.